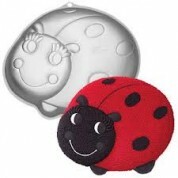 Here you will find a range of very special first birthday presents & keepsakes. Our collection includes toys, personalised pottery, bibs & T-shirts along with casting kits to capture those tiny hands & feet. A Beautiful Range of Gifts from Babies Babies. As First birthdays are a very special time, at BabiesBabies we also offer lovely gifts for to mark this occasion. We have a selection of personalised items both practical and ones as a momento to look back on in years to come and can stay in the baby’s life forever. We also offer a range of lovely teddy bears and comforters that are always a lovely and traditional gift including a selection from the French designer range Moulin Roty..